By every valid account, voter fraud is exceedingly rare. Yet this noxious myth continues to be perpetuated by self-serving politicians seeking to deny American citizens their voices and their power at the polls. While voter fraud is virtually nonexistent, the real threat to our democracy is voter suppression that keeps people from casting their ballots in the first place. Up until 2013, the Voting Rights Act adequately protected Americans’ right to vote from the worst abuses, but the U.S. Supreme Court’s Shelby County v. Holder decision severely weakened those protections. In response, Republican leaders in states across the country raced to implement restrictive voting measures that would keep their party in power by making it more difficult to vote. In total, 14 states had new voting restrictions in place for the first time in a presidential election, including strict voter ID laws and measures that slashed early voting opportunities. Many of these states cited voter fraud as the reason for passing suppressive measures. In reality, courts have found that voter fraud is “a truly isolated phenomenon” in many of those places. Texas, for example, passed its strict voter ID law to police against voter fraud, but the federal 5th Circuit Court of Appeals found that there were “only two convictions for in-person voter impersonation fraud out of 20 million votes cast in the decade” when striking down the law last July. Those who champion voter suppression laws are often the most vocal voter fraud conspiracy theorists. They know that voter ID laws and cuts made to polling places and early voting disproportionately affect people of color, people with low incomes, as well as students and youths—groups that tend to vote for Democrats. In striking down North Carolina’s monster voter suppression bill, the federal 4th Circuit Court of Appeals found that the state legislators set out to “deliberately ‘target African-Americans with almost surgical precision’” in an effort to suppress black voters. The facts are clear that voter suppression laws cost a significant number of Americans their voices at the polls this year. As an example, in Wisconsin, where voter turnout was at its lowest level in two decades, 300,000 registered voters lacked the strict forms of photo ID needed to vote. Places such as Milwaukee, where 70 percent of the state’s African American population lives, were hit the hardest, with voter turnout decreasing by 13 percent. 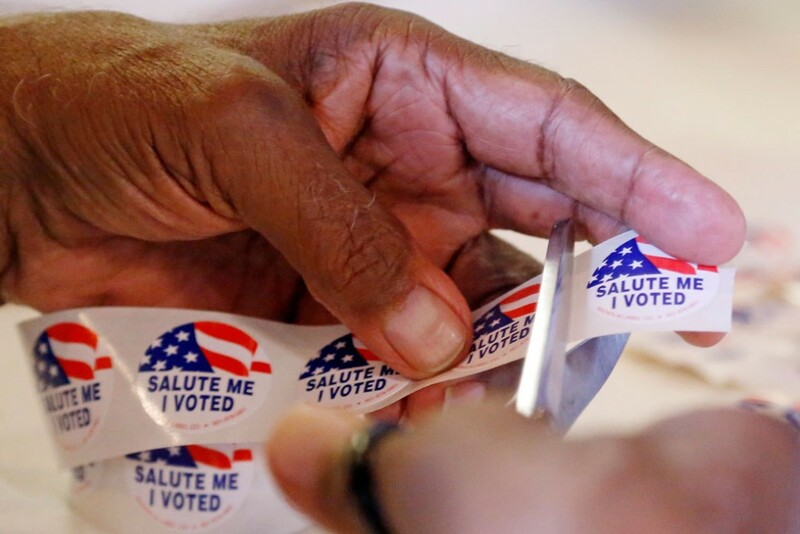 In addition, cuts made to polling places and early voting in Ohio and North Carolina also disproportionately affected people of color and led to lower voter turnout. Fearmongers have succeeded in convincing nearly half of all Americans that widespread voter fraud is real. In doing so, they have been able to pass laws that deprive eligible Americans of their right to vote. Voter fraud does not pose a threat to American democracy because it simply does not exist. Voter fraud conspiracy theories, on the other hand, have led to a direct assault on our democracy and our fundamental constitutional rights through tactics to suppress American voters. There is a real threat that voter suppression laws will become more common and severe in coming years with Republicans now taking control of the presidency, both chambers of the U.S. Congress, two-thirds of state legislative chambers, and soon, perhaps, a conservative majority on the U.S. Supreme Court. Americans must see through the conspiracy theories and push back against voter suppression laws: They are based on a lie and are eroding our republic and the values for which it stands. Liz Kennedy is the Director of Democracy and Government Reform at the Center for American Progress. Danielle Root is the Voting Rights Manager at the Center.